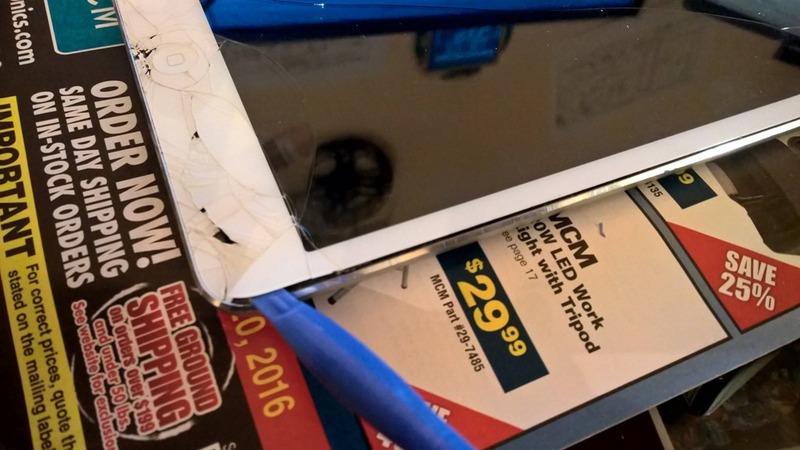 A few months back, my lovely wife’s iPad Mini was cracked, right around the button, by my then two year old son. Now, these things are tough and Xander had thrown it a few times prior to that fateful day. It hit the floor and then the corner of a cabinet and cracked the glass right by the button. Over the next month or so, we continued to use the device but…it was dropped once more and, this time, more damage ocurred. Even in a protective case, the damage got worse and glass shards started coming off, so we shelved it. Being cheap, we did not want to spend the hundred or so dollars to have it repaired and, on ‘Black Friday’, we took advantage of the $35 (US) Kindle. 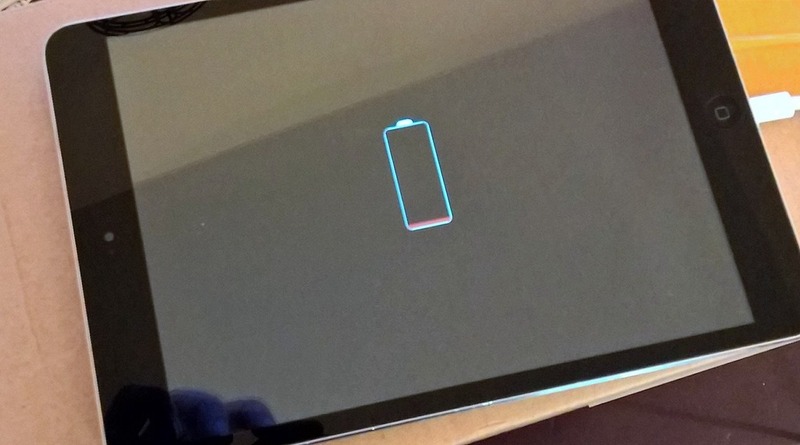 The iPad Mini just sat, battery drained, on a box under my desk. Until a few days ago (Feb 13, 2016) when I found a cheap replacement kit for the glass. This kit came with the glass, home button and the digitizer plus tools to remove the broken glass and install the new glass. The best part? It was UNDER twenty five US dollars. I ordered it and it arrived a couple of days later, thanks to Amazon Prime. I set about to remove the old glass, which had the white bezel, and install the new glass with the black bezel. I must say, I like the black bezel more. The process took about three hours as the glass was tough to remove. In hindsight, I did it wrong. All of the processes I read about said to use a heat gun to soften the adhesive and make it easier to remove. I did NOT do that. I wish I had. I ended up destroying the old glass and, in the process, getting little shards all over my hands. Use a heat gun or hair dryer on high to soften the adhesive. Be careful not to overheat the device. If you do not, you must be very careful with prying up the old glass, it is very brittlle and will break. Easily. Very Easily. Using a small screwdriver or similar device, gently pry the glass up. Pick a corner and slowly work around the perimeter of the device. Once the glass is off, lay it over – if possible – so you can rest the LCD on top. If you cannot, find a soft cloth to lay the LCD on when ready. There are four screws in each corner of the LCD. Unscrew them and set them aside. The two small screws by the home button you can ignore. Be careful, the WiFi antennae are right at the edge of the metal casing, I darn near destroyed them. It is also easy to unplug them. If you do, no problem, you can plug them back in. At this point, you should not be able to unplug them as there is a cover over them. Once you have unscrewed the LCD, you will need to remove the black tape holding in place, be careful not to cut or destroy the tape, you will need it later. Gently lay the LCD over the area you set aside earlier. Next, there is a metal cover under the LCD that is screwed down by 16 very, very tiny screws. Remove the screws and gently remove the panel. Next, on lower right, where the cables are, there a small metal cover with four or so screws. Remove it. Be careful now, this is where those Wifi antennae live. The two larger flat cables need to be unplugged. Unplug the LCD cable and then the digitizer/home button cable. Remove any excess adhesive from around the edge of the case. It needs to be clean. Gently plug in the LCD Panel. It takes very little force and you can only plug them in one way. Replace the small metal cover and then the larger one. 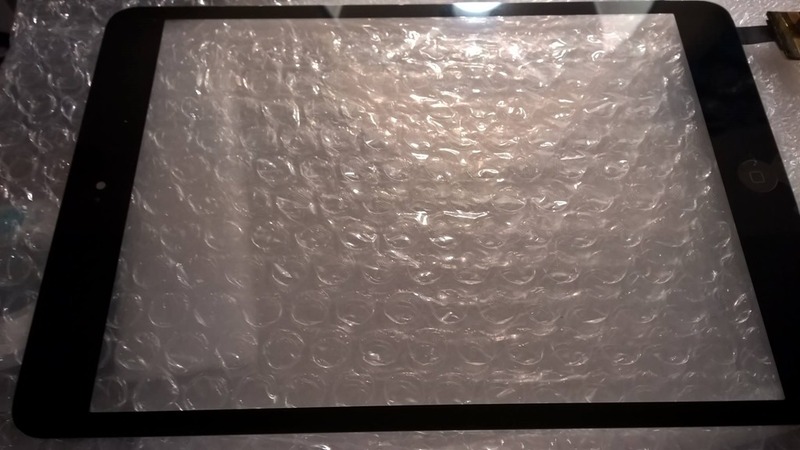 Remove the sticky back tape and any other protective plastic from the underside of the new glass. Carefully place it on the device and firmly press down around the sides and the top and bottom. Turn on the device, if charged, make sure it works. If all went well, congratulations, you save yourself a lot of money. Those screws are very, very small. There is no real reason why there are sixteen on the big metal plate. I think they could have gotten by with half that number or even a quarter of them. At any rate, someone felt they were necessary. So, the take away here is that if you are going to do this, get a kit that includes the home button and the digitizer. Some only have one or none of them. Amazon is a great source for things like this, but so is eBay. If you take your time and are patient, you can do this with ease. Patience is the big thing here. I nearly lost mine with the small screws. Did I mention that they are small? Oh, yeah, sorry. But, they are DAMNED SMALL! Good luck if you undertake this endevor. When I bought, I went all in with the accessories. I bought the camera kit, extra power cables and adaptors, the keyboard dock, composite and VGA cables, you name it. If Apple had an accessory, I bought it. I LOVED the iPad. It was toted around with me, everywhere I went. I bought a WiFi hot spot just to have Internet access too (I bought the 32gb WiFi only version) and thought I was just all that. Indeed, when I went travelling, it was all I carried. My clunker laptop stayed mated to my desk at home. Well, fast forward four years. That original iPad is, at best, an aging game machine. It is no longer stable, the multitude of iOS updates have just killed it. It is no longer supported, so I cannot update it to iOS 7.0.1, which seems to have stabilized my old iPhone 4. Many apps I have on the device are out of date. It crashes. A LOT. I finally convinced my wife that she needed a decent tablet of her own, one that was still current and supported by its manufacturer. Well, she’s not a big Windows 8 fan (she pretty much hates it) and she does use her iPhone 4 as her computer, so I talked her into an iPad mini. I’m glad I did. We got the iPad Mini 16gb WiFi version. Using my Best Buy rewards points, we got the device for about $270. Not too bad. It is new and has the very nice Retina display and a very fast A7 processor. Compared to the old iPad, it is like a Porsche to a VW Beetle. The device is almost the perfect size, too. It isn’t overly heavy and it is pretty thin. My complaint is with the screen. Even though it is the beautiful Retina display, it is a tad small for these tired eyes. For some reason, it seems tinier than my Kindle Fire, which is about the same size. I don’t have as much trouble reading text on the Kindle as I do the iPad Mini. Weird. Still, the display is very, very nice and photos look great. It does video very well. The sound is a bit tinny, but that is to be expected. Apps seem to respond better, run faster and crash less. Yes, they crash less. They still crash, though, and crash more than they should. It would seem that Apple still has a way to go in the operating system department. Aside from the screen issue I mentioned, the only other real complaint I have is that damned connector. We have tons of things that use the 30 pin connector and almost nothing that uses the Lightening connector, so…we had to buy another car charger and, likely, will get another household charger. She does not want the keyboard, yet. That may not be an issue, since we can use the Bluetooth keyboards we have. The tablet comes with both forward and rear facing cameras. The take nice photos, with the rear camera taking the best still and video. The forward camera is better suited for Facetime. In fact, this thing is the perfect Facetime device: big enough to actually use, not too big and easily propped up, far better than an iPhone. It will also work well with Apple’s iMessage service. Keep in mind, though, that Facetime needs excellent WiFi to work well. Oh, and you need a lot of light to get a good, crisp image sent to the recipient. That forward facing camera isn’t too good in the low light scenario. Overall, the iPad MIni is nice device. The price, while still a bit high, is better than what you pay for a full size iPad or Windows tablet. If you already have an investment in iOS apps, and you want another tablet, you cannot go wrong with the Mini. IF, however, you are starting out fresh and have little or no Apple interests, then you would be better off with a Windows tablet or even the Samsung Galaxy, if you care for Android. In an earlier blog post, I wrote about ways to use your old smartphone once you got a new one. A reader asked that I expand on this post, so I am. One of my suggestions was to use it as a secondary display. There are several apps out that will do this, for the iPhone/iPad and for Android. The one I am writing about today is for iPhone/iPad/iPod touch. There are two parts to the setup: the iDisplay app for the phone and the desktop app that streams to the phone. Installing on the phone is as easy as going to the App Store, searching for iDisplay, purchasing (it is .99) and downloading. 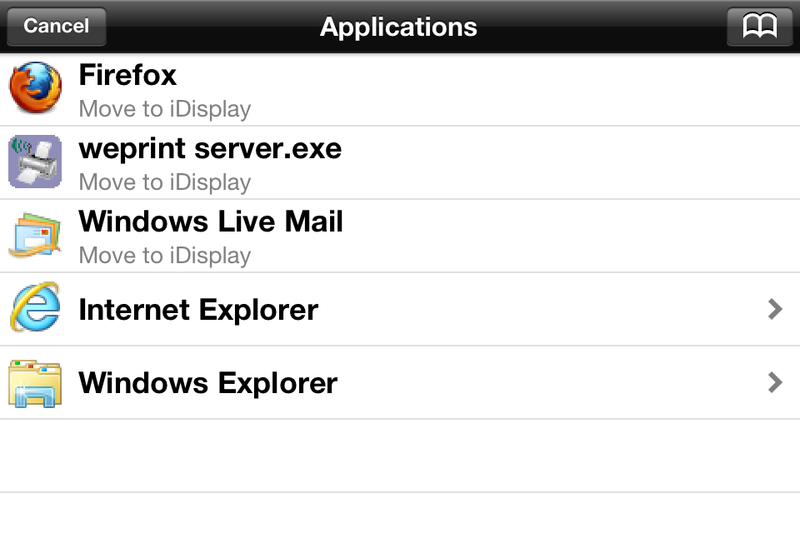 Then, go to the iDisplay web site and download the appropriate desktop app and install that. Please Note: it is also available on Android via the Google Play Store, but I am focusing on the iOS version here. 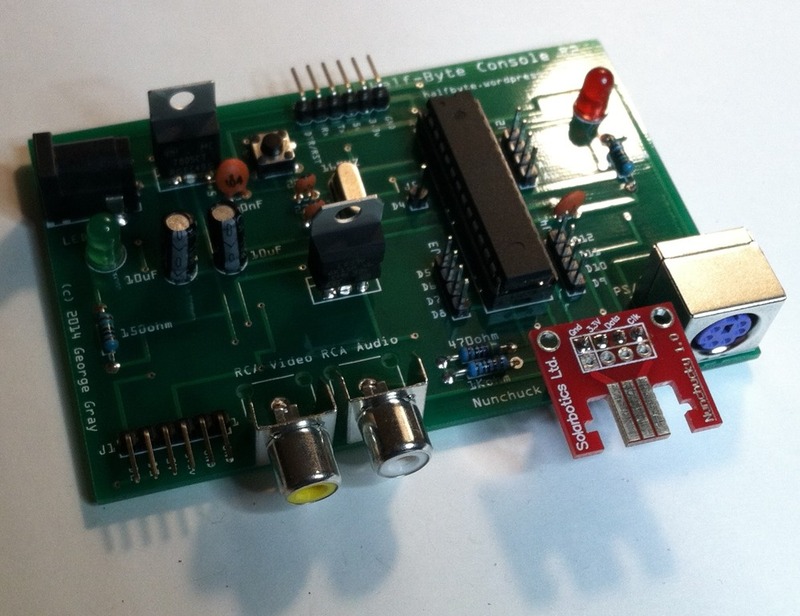 Once running, the desktop server uses Bonjour and Wi-Fi to talk to the phone. In Windows, it acts as a driver, allowing full video and audio as well as adding touch to a non-touch computer. On my Windows 8 desktop that does not have touch, using this app on my iPhone adds touch. And, works very, very well. On my desktop, I let it use the default, which is to extend my display to the second device. 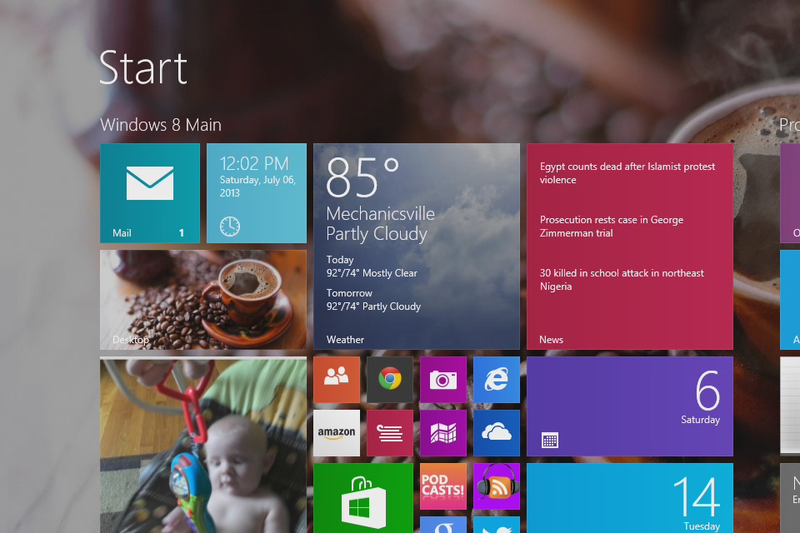 The cool thing is that in the Windows 8 desktop, I get the full experience, task bar and right click action all work. Apps that were running already, will remain on the primary display, apps that you start from the phone will display on the phone. I have to admit, I rather like seeing Windows on my iPhone. 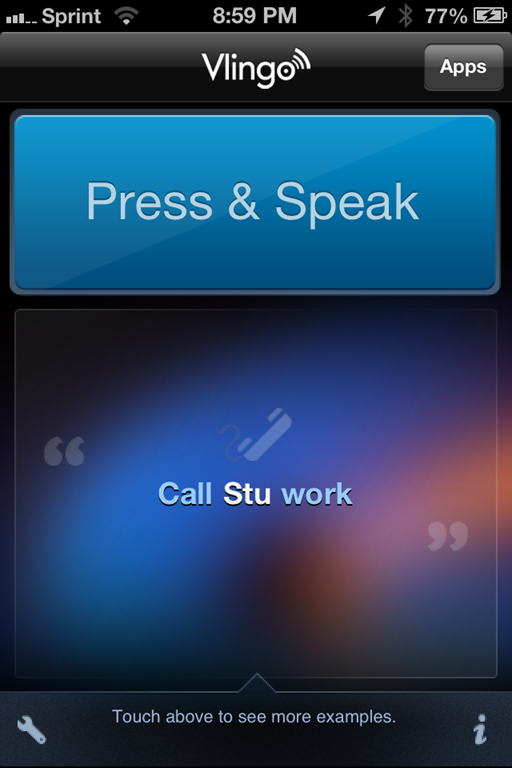 Among the features in the phone app are: gestures, integrated on screen keyboard, audio playback, touch, full interaction with your desktop. 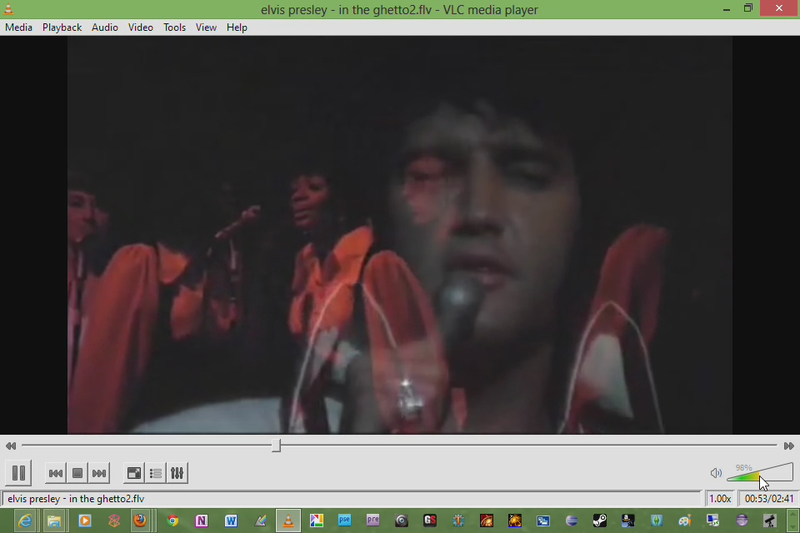 From my desktop, I could even watch a video that was streaming from the desktop with relatively high frame rate. Of course, that will depend on your Wi-Fi network and how busy it is. 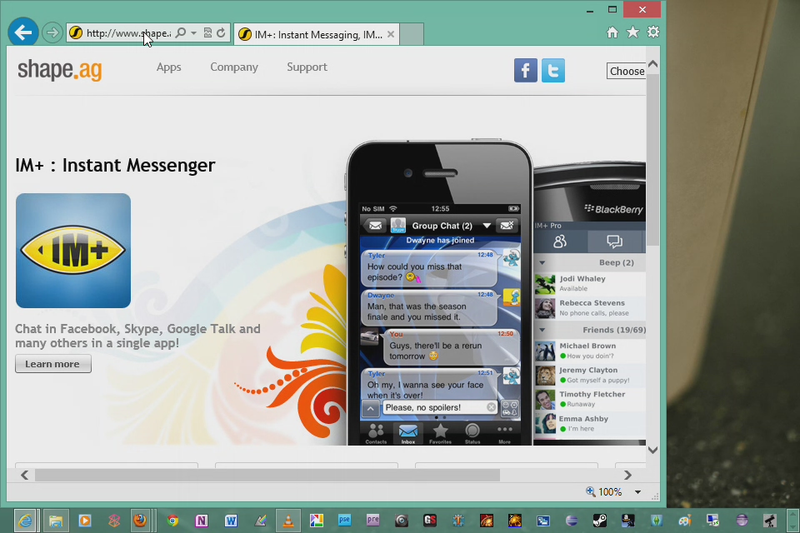 Also, the phone app works great with Windows 8 Start Page. So far, it all seems to work nicely. One really nice feature is that the phone app can show you a list of currently running apps on the main display and allow you to move them to the secondary display, pretty nifty and useful. And for an application that has multiple windows or instances, you can select which one to view. I tried running the server app from my VivoTab Smart tablet running Windows 8.1 preview. It works, but only to a point. I think it is a problem with the video driver and the Atom processor. It is slow and the only mode supported is mirror of the desktop, not very useful. And, really, for a tablet, you won’t need a second screen, but I had to try anyway. Now, even though this app works very, very well, there are a couple of drawbacks. One, it does put a load on your Wi-Fi network, so keep that in mind; two, using the Windows Desktop on an iPhone screen is a laborious task. The ‘chrome’, so to speak, is just too small. I had a difficult time closing windows or tapping on the address box to enter a URL. Now, you can zoom, which helps, but using full screen is pretty tough. Using the extended mode on the phone app allows this. Overall, I think this is a very well and highly useful application. Not only is it a secondary display, but it also acts as a remote desktop as well. Well worth the purchase price. I downloaded the Android version to my Kindle Fire. While I am still evaluating it, it looks just as good as the iOS version. Since the Kindle Fire is somewhat bigger than the iPhone, it is much easier to use Windows on the this device. It also works better with the system mouse. In addition, you can use USB to connect your Android device to the PC (or, presumably, your Mac.) I have a Mac Mini, so I think I may try that as well. How about full Mac OS X on your Android or iPad? Siri alternatives: Google Now, Evi and Vlingo. Which is best? Since I got my company issued iPhone 5, I’ve had the opportunity to play around with Siri, the voice search application that began with the iPhone 4s. I’ve had mixed results with it and, generally, do not use it. However, that does not mean I don’t like the idea. Far from it, I do. It’s just that the Siri implementation is, well, sorely lacking. And, for some reason, I can find out the meaning of life yet cannot get results for NASCAR. Since my personal phone is an iPhone 4, I do not have Siri. Neither does my first gen iPad. However, all is not lost. See, there are a few apps that do some or all of what Siri does and more. I have tried out three alternatives and my results are below. Each one of the apps are free but there are paid ones as well. I have not tried them. Google Now is the most complete of the three apps I tried. It has the power of Google search behind it and, in my opinion, is more responsive than even Siri. Google Now also works on PC’s and Macintosh. 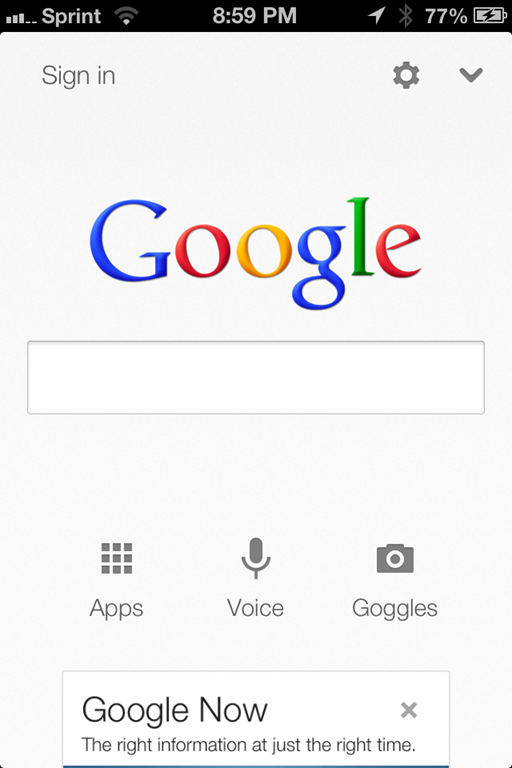 Google Now also gives you access to Google goggles and a host of Google apps. But, how useful is it? In a word: VERY. I am not a huge fan of Google, in fact, I use Bing as my primary search engine but Microsoft does not have something like Google Now (it did, way back in the Windows Mobile 5 days with Live Search. That was pretty good, for 2006.) That said, I think Google not only did a good job with Now, I find it better than Siri in so many ways. It returns better search results, does not give as many smart assed answers (though some of them that Siri gives are funny) and it knows about NASCAR. Admittedly, I did not try this one as extensively as the others. In a word, it’s confusing. However, it did come closest to Siri, even using Siri’s voice(!). However, it failed to discern Erie, Pennsylvania from Gary or Yearly when I asked for the distance between that location and Mechanicsville, Virginia. Some results it spoke, most it just returned a web page. This was my least favorite of the three. It had far too many options as well and was the worst of the three in picking up my voice. To be fair, however, I tried it on the iPhone 5 and Siri seems to misunderstand quite a lot as well, so maybe it is either the microphone on the 5 or neither like my voice. 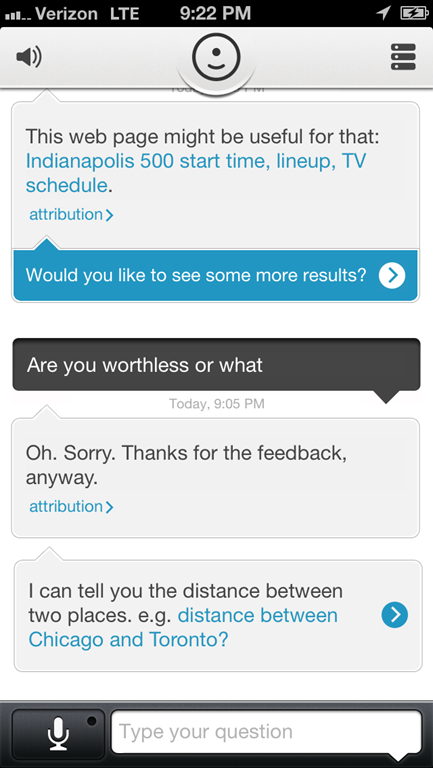 Evi also seems to be iPhone ready as it fills the screen completely. Vlingo is interesting in that it has hooks into email, sms, maps and your social nets as well as search. It really does create an email with the to, subject and body all filled in. It really does create an SMS message and will post to Twitter or Facebook. The problem, though, is that you have to use specific words (which makes sense) and it must understand what you want. Here’s where it seemed to have problems. For me, it mostly understood me, it just did not do what I wanted. And, when it did, you still have finish the task by tapping an onscreen button. Why can’t you just say ‘Vlingo, send’ or ‘Vlingo, done’? I like what they are trying to do, they just need to go a wee bit further. Oh, one additional gripe: you must tap the screen when you are done speaking. It was the only app to require this. I suppose it is so the apps knows when you are dictating, but it makes little sense. Of the three (and Siri,) I prefer Google Now. Vlingo, when the bugs are worked out, will be a strong contender, but, for now, Google wins. All three apps are in the App Store, work on iPhone 4 and up and are free. So, this is the time of year when shopping is in full swing for the holidays. Every year, there seems to be that one standout, must have category and, so it seems, this year it is the tablet computer. As such, I thought I would give some pointers on how to shop. I don’t want to come out and recommend a specific tablet, but I will share my thoughts on several categories of tablets. Does the recipient have an iPhone already? If they do, they, likely, already have a multitude of accessories and applications. Things like power adaptors, bluetooth keyboards, cables, etc. will work on the iPad and, if they do not have one, that it is the best and easiest way to go. Does the recipient have an Android phone? If yes, then skip to the buying an Android tablet. Does the recipient have a Kindle or use the Kindle software? If yes, there are three choices: the Kindle Fire, Kindle Fire HD 7 inch or Kindle Fire HD 8.9 inch. Here’s where you need to figure out which is better. If they have a hard time seeing, then get the 8.9 inch otherwise, the 7 inch is probably the best way to go. Amazon has a nice ecosystem already and if they use Amazon Prime, then there is a whole world of streaming possibilities. Plus, anything you purchase from Amazon (like apps or media) will be store in the cloud and the device. Does the recipient need or want an e-reader more than a tablet? If yes, then the aforementioned Kindle Fire or the Barnes and Noble Nook HD are good choices. The Nook runs a more standard Android operating system while the Kindle Fire (and HD) run a modified Android OS. Also, there is the KOBO e-reader with table like features and the low end Kindle and Nooks (with some tablety features) for under $80. Does the recipient eschew Android and iOS (the operating system of the Apple iPad) and want something different? Well, if so, there are not many choices. You have Windows 7 tablets, Windows 8 RT and Windows 8 Pro. The Windows tablets are still on the pricey side, however if you want something more like an iPad, but not iPad, the Windows RT tablet may fit the bill. 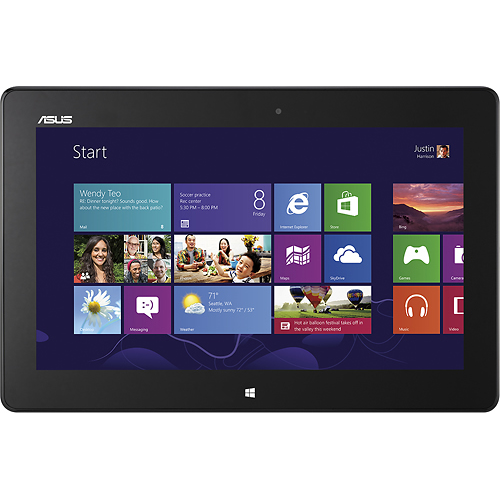 There are several brands, including the MIcrosoft Surface as well as one from Asus. Keep in mind, Windows 8 RT Store is rather new and no where near as complete as the Android and Apple’s App Store. Android tablets are plentiful and run the gamut from 1.0 to 4.1. Price is a big factor here, the cheaper the tablet, the crappier the tablet, with a few exceptions. Generally speaking, stay away from brands that you have never heard of, as well as low end names like Craig, Emerson and, sadly, Sylvania. These are going to be cheap, slow, lack performance and battery life and, likely, the Google Play Store. You will have to get your apps from, shall we say, more questionable sources. 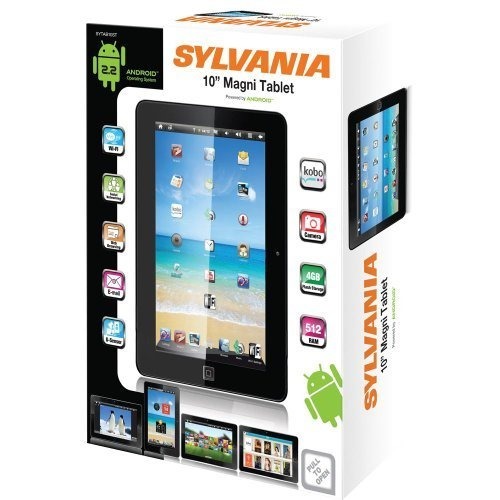 Plus, many of these tablets will run older versions of Android (CVS carries one – a Craig – with Android 1.6) which may be wholly incompatible with most apps. It is better to stay with names you know, like Motorola, Samsung and LG. Samsung has the best Android tablet, the Galaxy 10.1. It rocks the latest Android, has the performance and battery life to make it useful. Motorola’s tablet is nice, but lacks some of the prowess of the Samsung. Others to look for include Acer (which always makes good products) and Asus. These are going to be pricier tablet, in the $300 to $600 range, but will be worth the cash. …from places like CVS, Big Lots, Wal-Greens or any such store. They are likely to have the aforementioned low end brands and nothing worth laying down your cash. (One possible exception is the Sylvania 7 inch in the BLACK BOX. I don’t have the model number, but it has Android 4.1 and sports a 1.2ghz processor and seems fairly responsive. I would ONLY get this if you need a spare device to use for music or internet and it’s under $80.) Be careful if you do decide to get a tablet at one of these retailers (which I really have nothing against, they just aren’t the place to go buy a tablet) since some tablets are being sold with WINDOWS CE. Read the box, carefully. You DO NOT WANT WINDOWS CE. Not in a tablet, phone, ‘netbook’ or anything else. Trust me on this, that is one dog you just do not want. Also, Pandigital is a brand to now stay far away from as they are no longer an active company. You can still find their stuff in the channel, but you will get NO SUPPORT. And, I’m pretty sure that most of the other tablets will render you supportless as well. There are many tablets for children that are really nothing more than toys. Some of these are fine and are inexpensive, like the Innotab. However, if you want a real tablet that is safe for kids, your choices are limited. 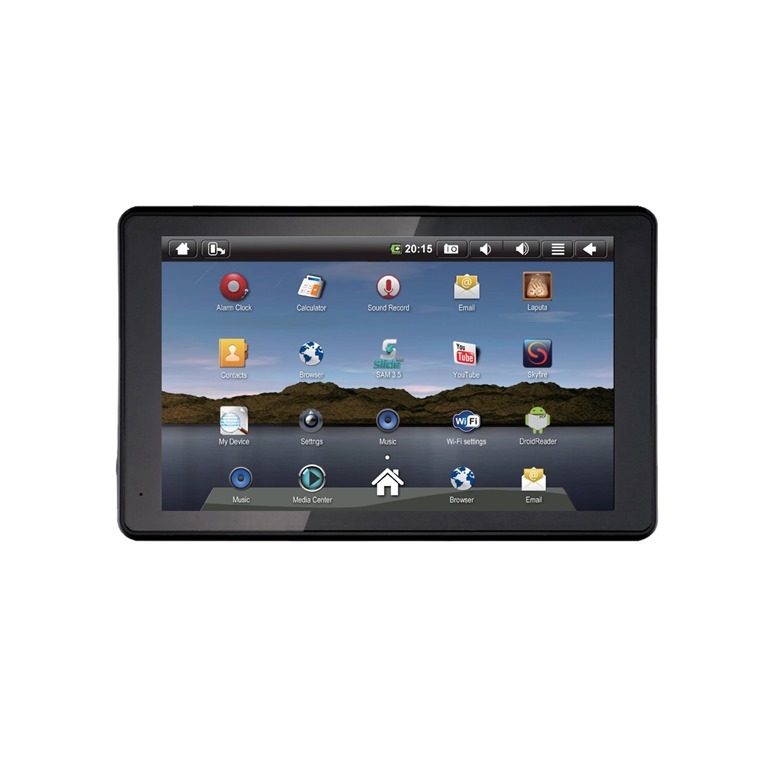 Ideally, you will want a tablet that lets you set up profiles for the kids and profiles for the adults. Currently, the Kindle Fire and FIre HD will do this, as will the Nook and Samsung Galaxy (a combination of manufacturer software and Android.) The Windows tablets will as well, but they are far too pricey for kids. iPad does not currently do this, but it does have the best selection of children friendly games and software, bar none. The Kindle offering has a good selection as well. Another thing to consider is durability. Currently, there are bumpers and cases for the iPad, Galaxy and Fire that will protect the tablet from drops and other oopsies. Price is also a factor as well as size. The bigger the tablet, the harder it is for them to hold. 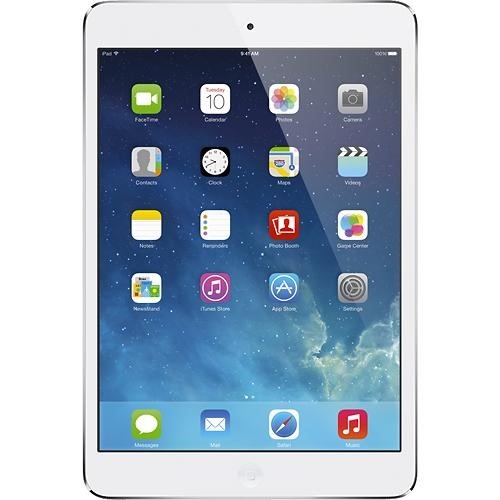 Here, the iPad MIni is a great choice. Children’s eyes are usually better than ours, so the difference in the screen won’t mean much. It is also cheaper than it’s much larger brother. Alright, let’s look at it a different way…what does the recipient do most: play games, use Facebook or other social network, surf the net, be productive? For simple net surfing and Facebook, pretty much any of the under $200 tablets will do that, hell, even those cheap ones I just warned you about will do that (still, stay away from them) but you want to get one that COULD do more, Here’s where the Kindle Fire or Barnes and Nobel Nook HD would be excellent choices. Both are under two hundred bucks, both have a fairly decent ecosystem, both are easy to use. If the recipient wants to play games, again most of the mid to upper end units will work, but the iPad has the advantage here. Every major game publisher supports the iPad and you can bet they will for a long time to come. Forget the iPad mini and get the real deal and go for the 32gb version, they will burn through 16gb in no time. The Samsung Galaxy, Kindle Fire and Fire HD and the B&N Nook HD also make nice game players. Not sure about Windows RT as the RT market is rather limited at the moment. Being productive is the big limitation here. This is the area where the Windows devices shine best. The Windows 7 tablets, while functional, should be ignored as they are nothing more than Windows 7 computers shoehorned into a tablet. 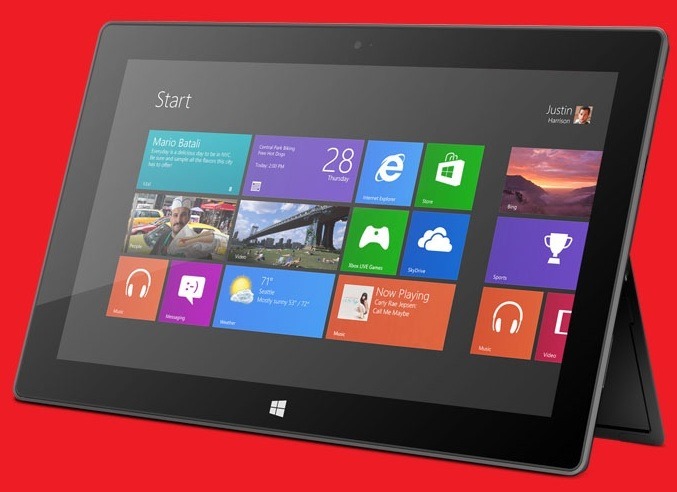 Get a Windows 8 Pro device. You can use full size keyboard and mice and also use them as full desktops. Plus, they have the mobility factor. The Windows RT devices CAN be used this way, but the PRO version is better. Also, iPad and the Samsung Galaxy are good, if not incomplete, choices. Ultimately, money is likely your deciding factor. Get the most for the least is my motto and you can do that with tablets, but you have to shop around. Best Buy will have most of them out so you can at least play around with them and their prices aren’t awful either. Surprisingly, Target is another place to purchase them, but the selection is extremely limited. A good resource to use for comparing features and reviews is CNet. Amazon is decent too, but can be confusing.